Tel Reḥov (Tell eṣ-Ṣarem), the largest mound in the alluvial Beth-Shean Valley, is located about 6 km west of the Jordan River, 3 km east of the Gilboa Ridge, and 5 km south of Tel Beth-Shean. Reḥov dominated the north–south road through the Jordan Valley. The site comprises an upper mound and a lower mound to its north, each covering about 12 a. The upper mound rises to 20 m above the surrounding plain, while the lower mound stands about 8 m above the plain; the summit of the upper mound is at an absolute elevation of 116 m below sea level. A ravine separates the two mounds; a gate may have been located in this ravine on the eastern side of the mound. The closest water source is a spring near the northeastern corner of the mound. Additional springs are found at short distances from the site. 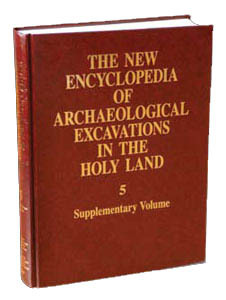 In the early 1920s, P. Abel identified the site with Reḥob mentioned in Egyptian texts. The identification is also based on the occurrence of the name in several other historical sources, on the name of the Byzantine Jewish town Roḥob (Rehob) located at Ḥorvat Parva (Khirbet Farwana) northwest of the mound (see Vol. 4, pp. 1272–1274), and on the name of the Islamic tomb of Sheikh er-Rihab south of the mound. Surveys conducted by W. F. Albright, A. Bergman (Biran), and N. Zori indicated occupation at the site throughout the Bronze and Iron Ages.